BOB ABERNETHY, anchor: This weekend of Martin Luther King Jr.’s birthday, religious services are planned around the country to remember him and his legacy. Some of them will be in synagogues that are honoring both King and the late Abraham Joshua Heschel, one of King’s many courageous supporters. Heschel is widely considered to be one of the greatest American religious figures of the last century — a rabbi, theologian, social activist and mystic admired by Christians as well as Jews. He would have been 101 years old this month. Our segment was produced by Steve Brand, a New York filmmaker who is completing a documentary on Heschel called “Praying With My Legs.” Brand gathered powerful recollections from those who had known Heschel and who wish his prophetic voice were still sounding. 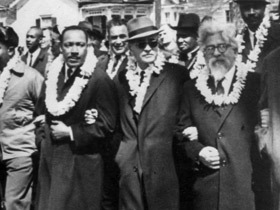 Heschel marching in Selma with Dr. Martin Luther King, Jr. It was his participation in the civil rights movement that first made Heschel widely known. In a famous photo of the Selma march in 1965, its leaders wearing garlands, Heschel was the white man with the prophet’s beard, two to the right of Dr. King. That was the occasion on which Heschel said he felt he was praying with his legs. 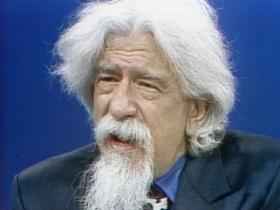 Rabbi ABRAHAM JOSHUA HESCHEL (from file footage, “The External Light,” NBC, 1972): God is either the father of all men or of no man, and the idea of judging a person in terms of black or brown or white is an eye disease. ABERNETHY: Heschel also publicly and passionately opposed the war in Vietnam. Rabbi HESCHEL (from file footage, “The External Light,” NBC, 1972): How can I pray when I have on my conscience the awareness that I am co-responsible for the death of innocent people in Vietnam? In a free society, some are guilty, all are responsible. PETER A. GEFFEN (Founder, Abraham Joshua Heschel School, New York City): The war in Vietnam, for Heschel, was an ultimate act of dehumanization — to no longer even see that there was an enemy on the other side who was a human being. And Heschel was convinced that if I act with a disregard for the humanity of my fellow human beings, I am ultimately — I am really ultimately attacking God. ABERNETHY: Heschel’s daughter, Susannah, teaches Jewish studies at Dartmouth College. 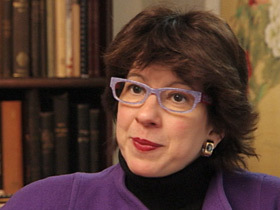 Dr. SUSANNAH HESCHEL (Eli Black Professor of Jewish Studies, Department of Religion, Dartmouth College): He upset a lot of people, because he felt his role was to go and tell people what they didn’t want to hear. My father was sleepless over Vietnam. He would be up late at night — one, two, three in the morning — couldn’t sleep he was so upset. It was on his mind all the time. ABERNETHY: Heschel’s experience of the Holocaust was one reason for his social activism. He had seen close up what racism and apathy can do, and how violence towards human beings often begins with the abuse of language. Dr. HESCHEL: Hitler, he said, did not come to power with tanks and machine guns. Hitler came to power with words. ABERNETHY: Heschel was raised in Warsaw and did graduate study in Berlin. Just six weeks before World War II, he was able to escape from Europe. 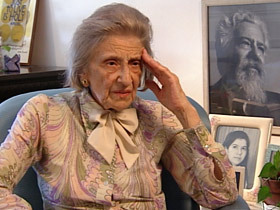 Heschel’s late wife, Sylvia, remembered. SYLVIA HESCHEL: There were sisters of his who were killed, and that was a very painful thing for him — very. His mother died of a heart attack as soon as the Nazis came to the door. She just fell to the ground. It was awful. ABERNETHY: But Heschel never blamed God. Ms. HESCHEL: He said God didn’t do it. Man did it. ABERNETHY: Heschel’s biographer is Edward Kaplan. Professor EDWARD KAPLAN (Author, SPIRITUAL RADICAL: ABRAHAM JOSHUA HESCHEL IN AMERICA): There are moments when he talks about overcoming despair and overcoming gloom. But the response to the catastrophe is not to focus on the catastrophe but to focus on human possibilities. Dr. ARTHUR GREEN (Rector, The Rabbinical School, Hebrew College): When you asked Heschel Where was God during the Holocaust, his answer was always, of course, where was man? But if you read Heschel carefully, I would say, God cares. God weeps with man at his sufferings, God participates in human suffering, and therefore God was there in the Holocaust. ANDREW YOUNG (Human Rights Activist): Whenever I get a little down or depressed I go get one of his books and I read the prophet Isaiah, what he has to say about Isaiah, because Isaiah was written at a time of the desolation of Israel, and yet it’s the loftiest vision of dreams for humankind. It’s peoples’ ability to have faith in the midst of persecution and destruction. ABERNETHY: At the Jewish Theological Seminary in New York, Heschel was a professor of social ethics and mysticism, two powerful strands of Jewish thought. From the prophets he learned to speak out about the world’s evils. From his ancestors, who were Hasidic Jews known for their ecstatic spirituality, he learned to celebrate life. Rabbi HESCHEL (from file footage, “The External Light,” NBC, 1972): I say that this world in itself is so fascinatingly mysterious, so challengingly marvelous, that not to realize that there is more than I see, that there is endlessly more than I can express or even conceive, is just being underdeveloped intellectually. Rabbi MORTON M. LEIFMAN (Vice President Emeritus, Jewish Theological Seminary): One of Heschel’s main attempts in getting to you, in a sense, is his own sense of “radical amazement” — to be aware of so many different things: “Did you notice the trees?” Well, Heschel was in love with trees. You’re walking in Riverside Park: “Don’t forget the trees,” you know, “don’t forget the river.” You have to react. Ms. HESCHEL: Oh, ineffable. He loved that word — that which is inexplainable but you know is there. It points to something beyond — that which we pray to, meaning God. ABERNETHY: Heschel’s biographer notes his use of dramatic language to try to reach others’ hearts, not just their minds. He read a Heschel description of a mystical experience. Prof. KAPLAN (reading): “A moment comes like a thunderbolt in which a flash of the undisclosed rends our dark apathy asunder. The ineffable has shuddered itself into the soul. It has entered our consciousness like a ray of light passing into a lake.” I can’t believe that someone could write a passage like this without having experienced it himself. ABERNETHY: Heschel’s deep spirituality drew many Christians to him. He had many friends who were Christians, among them the Catholic priest and anti-Vietnam war activist Daniel Berrigan, who became a friend. Father DANIEL BERRIGAN. S.J. (Human Rights Activist): I was seeing someone who was totally immersed in his own religious tradition and was at the same time charmingly ecumenical, you know, and open to others. I began to understand that the two went together, that if you were a person of deep faith you were open to others, and you didn’t draw lines or boundaries or say we’re inside the circle and others are out. He was one of the chosen who believed that everyone was chosen and that the very fact of existing in the world meant you were chosen. ABERNETHY: Heschel fought all anti-Semitism. He campaigned for the rights of Jews in the Soviet Union, and at the Second Vatican Council, in the 1960s, he lobbied hard against church teachings that demeaned Jews or anticipated their conversion. 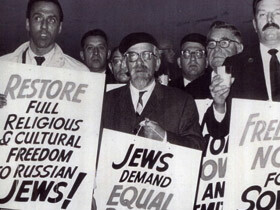 Rabbi HESCHEL (from file footage, “The External Light,” NBC, 1972): I came out with a very strong rebuke. I said I’d rather go to Auschwitz than give up my religion. My being Jewish is so sacred to me that I am ready to die for it. ABERNETHY: Over his lifetime, Heschel published 18 books and more than 100 essays. He was driven to show the relevance of Jewish scripture to modern life. In THE SABBATH, he saw time as something to be made holy. In MAN IS NOT ALONE and other volumes, he said God expects and depends on human beings to carry out his will. Dr. ARNOLD M. EISEN (Chancellor, Jewish Theological Seminary): So Heschel can say to the world, you know, the challenge today is nihilism. He says the enemy we all face is nihilism. The world is going to hell. The sense of meaninglessness is pervasive, and we have to do something about this. ABERNETHY: His friends say Heschel did a lot about it by what he taught and even more by how he lived. Rabbi HESCHEL (from file footage, “Directions,” ABC, 1971): We are called upon to be an image of God. You see, God is absent, invisible, and the task of a human being is to represent the Divine, to be a reminder of the presence of God. ABERNETHY: One year after he said that Heschel died, on December 23, 1972. He was just 65 years old. Abraham Joshua Heschel and Martin Luther King Jr.
Abraham Joshua Heschel and Martin Luther King Jr. first met in Chicago at a 1963 conference on race and religion. 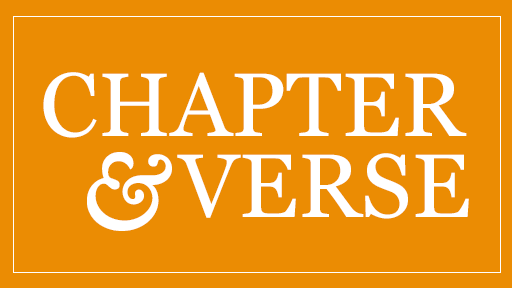 Listen to audio excerpts from their remarks at the meeting (Marquette University Archives). This audio clip requires Adobe Flash Player. THE WORD OF THE LORD IS UPON ME: THE RIGHTEOUS PERFORMANCE OF MARTIN LUTHER KING JR. by Jonathan Rieder.